The City of Eaton Rapids is looking for a Generator Technician Assistant. This position will work under the Generator Technician and provide assistance in the operation and maintenance of our power generation systems. This position starts at $19.23 per hour and is covered under the collective bargaining agreement with the International Union of Operating Engineers Local 324. A detailed job description can be found at cityofeatonrapids.com. Minimum qualifications include possession of a high school diploma or GED, a basic understanding of electricity production or transmission systems, ability to read and interpret documents such as safety rules, operating and maintenance instructions, and procedures manuals, and the ability to operate most Microsoft Office products. Interested applicants should submit a job application, resume, and cover letter to City Manager Aaron Desentz at Eaton Rapids City Hall (200 S. Main Street) or by email at adesentz@cityofeatonrapids.com. Applications are due by Monday, April 29th at 4:00pm. 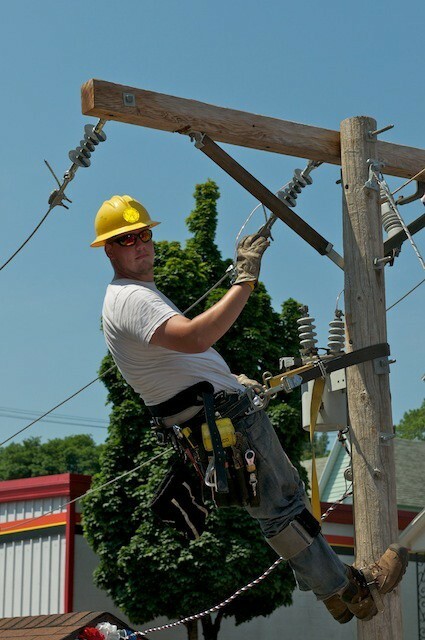 Traverse City Light & Power (TCL&P), a municipally owned electric utility in Traverse City, Michigan, is seeking an experienced Journeyman Line Worker. 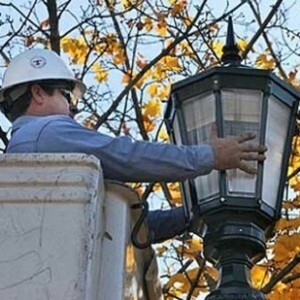 TCL&P has been providing safe and reliable electricity to the residents and businesses of Traverse City for over 100 years. Traverse City is a destination town located in beautiful Northern Lower Michigan along the shores of East Grand Traverse Bay and West Grand Traverse Bay, both of which flow into Lake Michigan. This area is known for its beaches and extensive outdoor recreational opportunities. The Journeyman Line Worker position will be responsible for the operation, maintenance and construction of electric distribution, transmission, and associated equipment. Educational requirements include a high school diploma or equivalent along with all the qualifications of a Journeyman Line Worker including a Journeyman Line Worker card. Minimum two (2) years’ experience in the electric utility industry or related field. Must have and maintain a commercial driver’s license (CDL) with a Class A endorsement. Wage rate is $40.00 per hour with a competitive benefits package that includes health, dental and vision insurance, a 10% employer contribution to a 457 deferred compensation plan and a 6% employer contribution to a Defined Contribution Retirement Plan. The City of Sturgis is accepting applications for the position of Journey Lineworker. 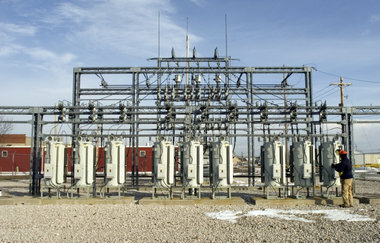 The successful candidate will work on a crew under the supervision of a line foreman for construction, installation, repair and maintenance of the transmission, distribution and street light electrical systems – troubleshooting, operating of tools and equipment, and being “on-call” for emergency repairs. The successful candidate must demonstrate considerable knowledge of typical work practices and have an excellent safety record. Qualifications include, but are not limited to, a high school diploma, a valid Michigan driver’s license with a Class A CDL endorsement, a Journey Lineworker certificate, and a minimum of five (5) years experience as a Journey Lineworker. Current CPR and first aid certificates and prior supervision experience a plus but not required. The successful candidate must pass a pre-employment physical and drug screen. The City offers a competitive salary and exceptional benefit package. More information available at sturgismi.gov/HR or at City Hall. Applications will be accepted until position is filled. For confidential consideration please mail, fax, or e-mail application and resume to: ATTN: Human Resources, City of Sturgis, 130 N Nottawa St, Sturgis MI 49091 or dnorthrup@sturgimi.gov EOE.